This snow leopard and its mate were photographed using a motion-triggered camera as they moved through the mountains of Kyrgystan. The snow leopard is an irreplaceable symbol of our nations’ natural and cultural heritage and an indicator of the health and sustainability of mountain ecosystems. Rolling waves are breaking on the beach. It could be a Mediterranean scene if not for the vast wall of snow-capped mountains across the waters of Issyk Kul, the world’s second-largest mountain lake, in the landlocked Central Asian nation of Kyrgyzstan. Along its north shore, in the small town of Tamchy, some 30 children, aged about three to nine, wait on rows of benches inside the colorfully painted Jash Muun Kindergarten building near the beach. It’s a sunny afternoon in late August, still summer-holiday season, yet their parents have brought them here for a special presentation. Environmental educator Nurzat Iskakova, from the German nongovernmental organization Nature and Biodiversity Conservation Union (nabu), has come to talk about a native animal so elusive and rare that few people ever catch as much as a fleeting glimpse of it in the wild: ak ilbirs, “white panther” in Kyrgyz and, in English, the snow leopard. To the children, it is as if Iskakova is telling them about a mythical creature from a fairy tale. Wide-eyed, they listen. A few hours by car from Tamchy, along what was once part of the Silk Roads that connected East Asia with the Middle East and Europe, signs and statues depicting snow leopards are easy to spot. There is even a café named Ak Ilbirs. In the capital, Bishkek, faces of snow leopards peer out from billboards, largely unnoticed by drivers and pedestrians navigating traffic that seems to flow as wild as whitewater mountain rivers. A few people find a calm escape near the city’s Philharmonic Hall, where on its spacious square, the glow of the evening sun sparkles the fountains and washes in gold a monument to the national epic hero Manas. Nearby is a series of contemporary public artworks, set on a small park strip called Youth Alley. One sculpture draws attention—it’s new. It depicts a life-sized snow leopard, not much taller than a Labrador retriever, and compared to other members of the “big cats” family such as lions, it seems rather small. Constructed of welded hexagonal screw nuts, it invites stroking, selfies and toddlers climbing onto its back. 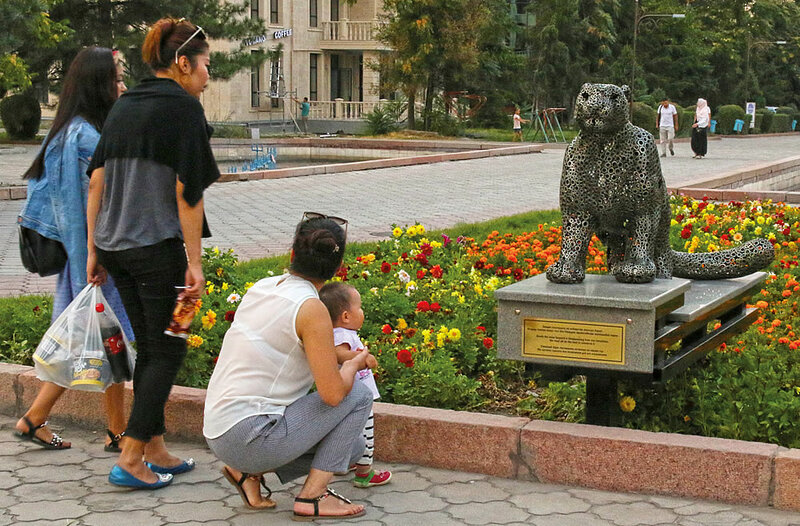 Cherkasov’s sculpture, like the billboards along the city streets, was part of the Kyrgyz government’s hosting of the Second International Snow Leopard and Ecosystem Forum at the Ala Archa State Residence, a park-like venue for state receptions on the outskirts of the capital. 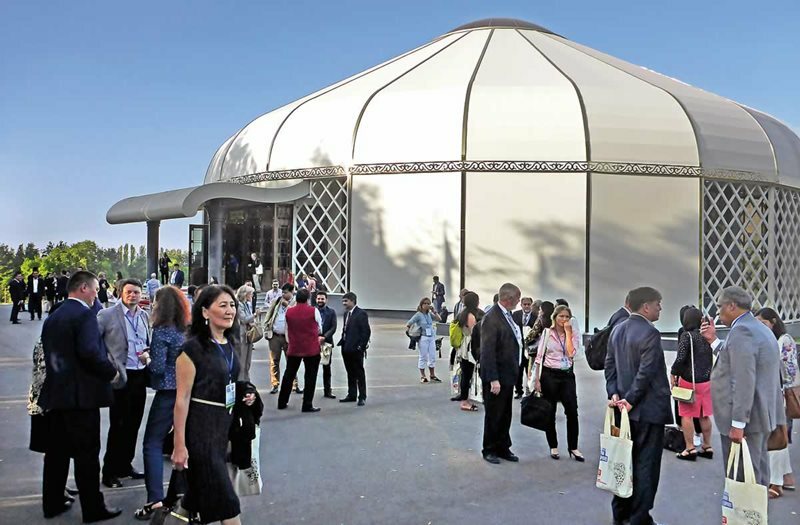 The national flags of each of the forum’s 12 officially participating countries flew at Enesai Reception House, designed after the traditional Central Asian yurt: Canvas-white and circular with a shallow conical roof, it is an unmistakable symbol of the country’s nomadic roots. Above and below: In August some 250 delegates from the 12 snow leopard “range countries” of Central Asia, together with representatives of international ngos committed to protection and conservation of the snow leopard, met in Bishkek at the Second International Snow Leopard and Ecosystem Forum. On opening day, August 25, men and women from Afghanistan, Bhutan, China, India, Kazakhstan, Kyrgyzstan, Mongolia, Nepal, Pakistan, Russia, Tajikistan and Uzbekistan all chatted and greeted each other outside the hall. Amid the gray suits and business dresses, the occasional Indian sari could be glimpsed, or the robe of a Buddhist Lama, or the orange-, red- and green-striped gho—the men’s national dress of Bhutan. Inside, the 250 delegates listened as Kyrgyz President Almazbek Atambayev welcomed them and congratulated them for their efforts to make common cause. “Today, the conservation and increase of the snow leopard population is the main task for all of us,” he said. Stretching in and through each of these 12 nations run seven major mountain ranges and numerous smaller ones, covering a total area greater than India. All are habitat for the snow leopard, Panthera uncia, whose only borders are altitude, for it lives mostly between about 3,000 and 5,400 meters. Other cultures of the region, too, have long regarded the big cat as a mountain spirit, as archeological finds and petroglyphs show. “According to the views of the Mongols, Khakas, Tuvinians and Altaians, the leopard is the representative of the higher heavenly forces on earth. It became a totem, an ancestor and the protector of the family,” explains ethnographer Yuri Loginov in an interview with the Kyrgyz youth magazine New Faces. Living side by side with the snow leopard was a sign of distinction. The snow leopard (Panthera uncia) belongs to the genus Panthera together with lions, tigers, jaguars and other leopards. Interestingly, the snow leopard is genetically more closely related to the tiger (Panthera tigris) than it is to its namesake, the leopard (Panthera pardus). The snow leopard is distinct from other Panthera members because of its inability to roar, its uniquely thick and light-colored coat and its long bushy tail that helps it keep balance when jumping from rock to rock. While from head to tail base snow leopards only measure somewhere between 90 to 115 centimeters, the tail itself can be 100 centimeters. Snow leopards are smaller than the other big cats, with a shoulder height of around 60 centimeters and a weight of 27 to 55 kilograms. Their thick fur and stocky bodies adapt them perfectly to the extreme environments of mountain ranges such as Altai, Himalaya, Hindu Kush, Karakorum, Kunlun, Tien Shan and Pamir. Usually, snow leopards are solitary. The home range of a single snow leopard can vary from 12 to 1,000 square kilometers. Wild prey are mainly ibex, argali and blue sheep, as well as marmots. The snow leopard’s elusiveness has done much to earn it this mystical reputation. Inhabiting some of the most remote mountains on earth, much covered by ice and snow, its gray-white coat spotted with black open rosettes provides camouflage so perfect that even at close range it can be virtually invisible. Like a ghost, it seems to appear and disappear from and into nowhere. Kyrgyz field biologist Kubanych Zhumabai Uulu knows this well. Only after a decade of studying snow leopards in the wild did he see one. “I was waiting for this a long time,” he says, bright-eyed, recalling the moment like a reward for hard work. As head of the nongovernmental organization (ngo) Snow Leopard Foundation Kyrgyzstan, Zhumabai Uulu’s tasks include tracking and counting snow leopards in the central Tien Shan mountains. His team of trackers undertakes month-long expeditions with strenuous hikes in thin air and freezing cold nights that make high demands on both people and equipment. September, he says, is usually the best time to go. “When it starts snowing in the high mountains, [the snow leopards] descend to lower, more accessible mountain regions together with their prey animals,” he explains. During each trip, the team covers around 1,000 square kilometers, setting up around 40 camera traps with weather-resistant photo and video recorders that react on motion-triggers. Finding the right spot can be tricky. “We look for overhanging rocks. Snow leopards use them for urine markings,” the scientist explains. It is easy to tell if a snow leopard has been to a particular spot, he adds, because the scent is detectable even to humans for several months afterward. To find the best position for a camera, one of the trackers may scramble on all fours past the motion sensor until the angle is just right—a sight that has baffled more than one mountain herder watching them from afar. When set, the camera stays in place all winter. In spring the team returns to read out the memory cards. “Each snow leopard has a unique coat pattern, like our fingerprints,” Zhumabai Uulu explains. This is why, at each location, the trackers usually set up two cameras opposite each other. With pictures from both sides, he explains, they can identify individuals better. This is not difficult: In the Snow Leopard Foundation’s office in Bishkek, on a wall of framed portraits of snow leopards, each has a name. 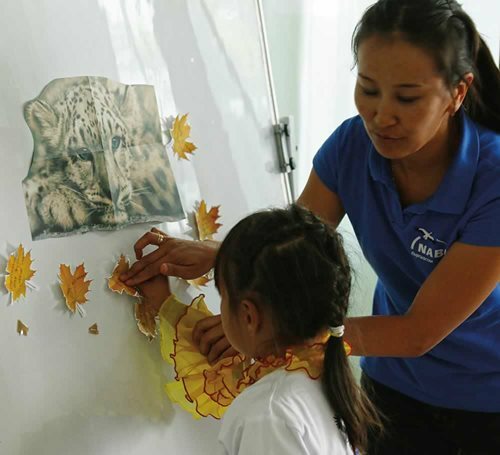 “This one we call Fighter,” says Zhumabai Uulu, pointing to a picture of a snow leopard with numerous scars on its face. Another is Hunter, for in every photo it carries a dead marmot in its fangs. James Bond “behaved like a spy,” not showing his face to the camera, while Jessica Alba appeared to relish the attention like a celebrity. 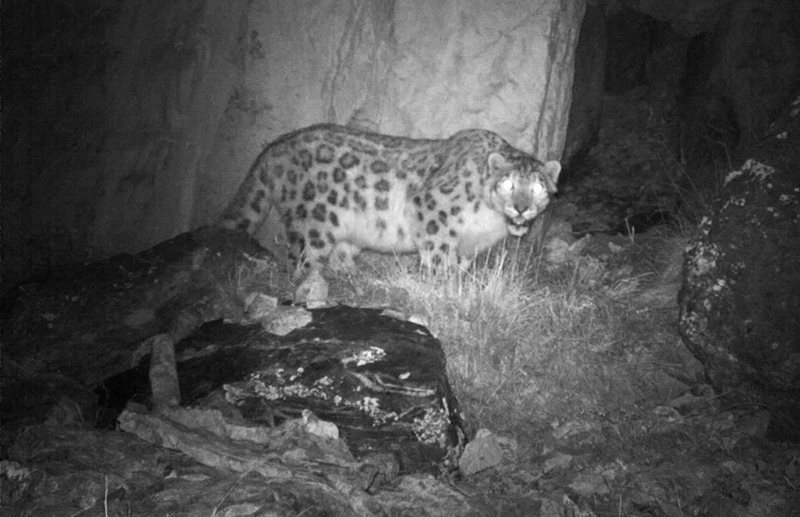 According to Zhumabai Uulu, camera trapping is one of the best methods to estimate snow leopard populations. With it, biologists learn about the range of individuals, as well as how they share territory with fellow snow leopards and other predators such as wolves and bears. By counting cubs the biologists learn about population dynamics. Other monitoring methods include dna analysis of feces and interviews with herders living in the small villages and yurts scattered on the high plateaus. The herders “are the only ones who really know how frequently certain animals occur in a region,” says Zhumabai Uluu. Still, it is not easy to take stock of mountain ghosts. To date, snow leopard populations have been assessed in less than two percent of its estimated 2.8 million square kilometers of total habitat. Population estimates by individual countries, published in 2016 in the book Snow Leopards by Tom McCarty and David Mallon, add up to 7,000 to 8,000 individuals left throughout the mountains of Central Asia. In an image captured by a motion-sensitive camera trap, a snow leopard overlooks the Spiti Valley in India. The Snow Leopard Trust lists Mongolia as home to the second-largest population of snow leopards at an estimated 500–1,000. With diverse methods and limited data, it is thus no surprise that scientists may disagree over both the numbers and their significance. On September 14 the International Union for Conservation of Nature (iucn) upgraded the snow leopard’s conservation status from “endangered” to “vulnerable,” which means that instead of facing “very high risk” of extinction in the wild, it faces “high risk.” Some organizations such as the Snow Leopard Trust regard the move as premature due to insufficient data; others see it as a signal that conservation efforts may be working. In either case, it is no cause for rest. Back in the classroom in Tamchy, environmental educator Iskakova tells the kids about Kyrgyzstan’s national “Red Book” of endangered species, which lists not only the snow leopard but also the maral, a large stag, and the red wolf, which has not been spotted for 50 years. “How can we protect them?” Iskakova asks them. The boy cut right to the chase. Over the past decades, poaching and fur trading were the leading threats to the snow leopard. Well-heeled people, it turns out, are willing to spend large amounts of money in the black market to buy a physical piece of the big cat’s mystical power. Its skin has become a status symbol, and its claws and bones are used for ointments and tools in traditional medicines. According to the World Wide Fund for Nature (wwf), a skin can fetch us $2,200 to $5,000, and a skeleton can command $10,000—amounts many times greater than the monthly salaries of civil servants charged with enforcing anti-poaching regulations. As a result, struggling families can find themselves faced with choosing among economics, ethics and long-held beliefs. In a 2016 report, the wildlife trade monitoring network Trade Records Analysis of Flora and Fauna in Commerce (traffic) estimated that since 2008 between 221 and 450 snow leopards have been poached annually across the range countries—an average of at least four kills a week. The authors added that the actual number might be substantially higher since kills in remote areas cannot be detected. “Who kills a snow leopard, kills their own people. Who sells a snow leopard skin, sells their own land,” said President Atambayev, making clear his government’s position and articulating the important role the snow leopard plays in national identity. 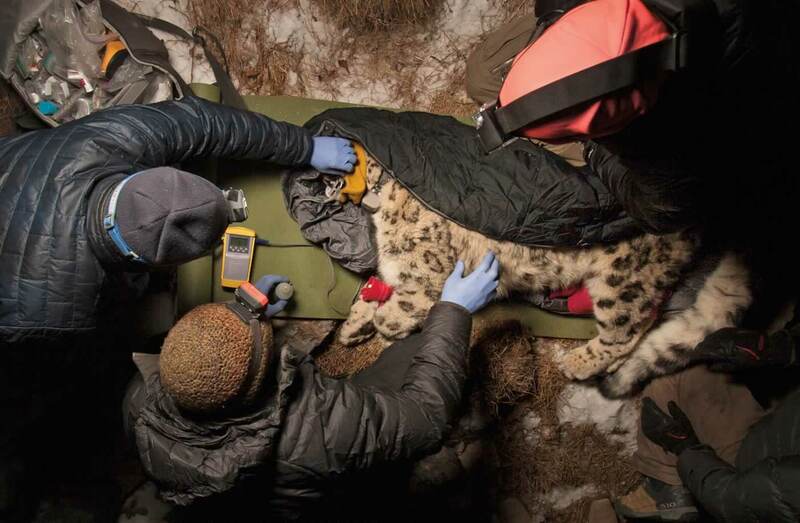 In eastern Kyrgyzstan, biologists and a veterinarian fit a tranquilized snow leopard with a tracking collar. They also take readings of its weight and dimensions as well as samples of blood and fur in the effort to understand its range and well-being. 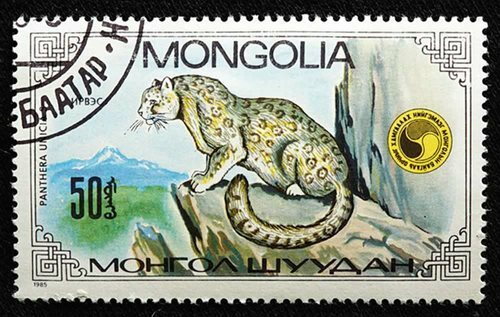 The snow leopard is an iconic logo for the republic’s Department of Natural Resources. Officially, all 12 range countries have protected the big cat for many years, but enforcement has been weak and, at times, nil, as economic and social issues have kept governments from being effective in this policy area. Since the collapse of the Soviet Union in 1991, for example, former Soviet states had much to do to find their own identities and develop their own systems amid newly gained independence. Modaqiq is proud of his country’s accomplishments. For example, in 2002 Afghanistan was a member of only one international environmental convention. Now, it is a signatory to 15 multilateral environmental agreements and protocols. Recognizing the important role of the snow leopard in high-mountain ecosystems, Afghanistan put the big cat on its national protected list and in 2014 declared the country’s entire northeastern Wakhan district a national park—an area four times larger than Yellowstone National Park in the us. The “20 by 20” protocol defines a healthy population as one comprised of at least 100 breeding-age snow leopards. 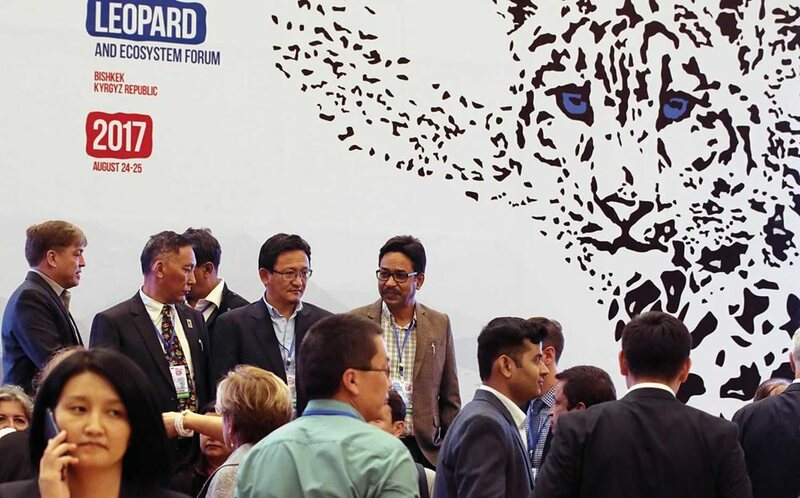 The first multinational step toward saving the snow leopard across all the range countries was taken four years ago, in October 2013 in Bishkek, at the First Snow Leopard and Ecosystem Forum. A much smaller gathering than the one this year, representatives of the 12 Asian countries there signed the Bishkek Declaration, in which they agreed that “the snow leopard is an irreplaceable symbol of our nations’ natural and cultural heritage.” They also agreed on the Global Snow Leopard and Ecosystem Protection (gslep) program’s goal of “20 by 20”: identify 20 habitat areas by the year 2020, each with a “secure, healthy population” of at least 100 breeding-age snow leopards, sufficient and reliable populations of wild prey and the interconnection of their habitat to others. In the four years between forums, what has happened? “We are midway as far as the implementation is concerned,” says Koustubh Sharma, international coordinator at the gslep-Secretariat, which was formed after the 2013 forum. Its five staff members consult periodically with the signatory countries, as well as with implementation partners, donors and academics, to track progress toward “20 by 20” and other gslep goals. “We started from scratch. We started with few resources,” Sharma says. Consequently he finds it encouraging that of the gslep’s total budget commitment of us $182 million, the countries have to date acquired some $50 million from both national sources and the international Global Environment Facility. A snow leopard’s eyes glow in the glare of a camera trap’s flash. Biologists will examine its pattern of spots to identify the individual. 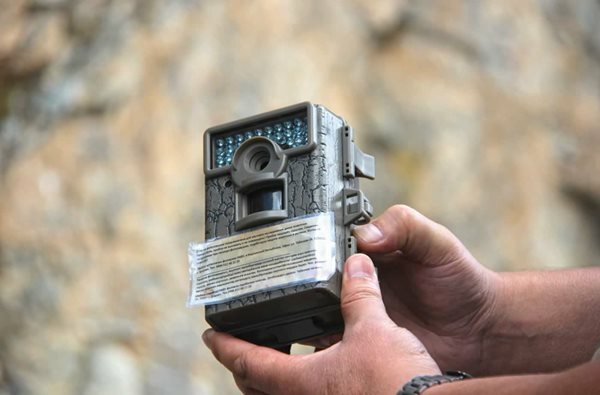 Sturdy and weatherproof, camera traps are placed in the mountains for months at a time. The funds so far have enabled, for example, the establishment of new protected areas such as Afghanistan’s Wakhan National Park, Tost-Tosunbumba in southern Mongolia and Khan-Tengri in Kyrgyzstan. Existing protected areas, such as China’s 160,000-square-kilometer Sanjiangyuan National Nature Reserve, are receiving more intensive monitoring. Kyrgyzstan and Bhutan have increased penalties for poaching and illegal trafficking. Across each country, more than 250 people have received training in environmental protection work, in some places with the help of the international police organization Interpol. 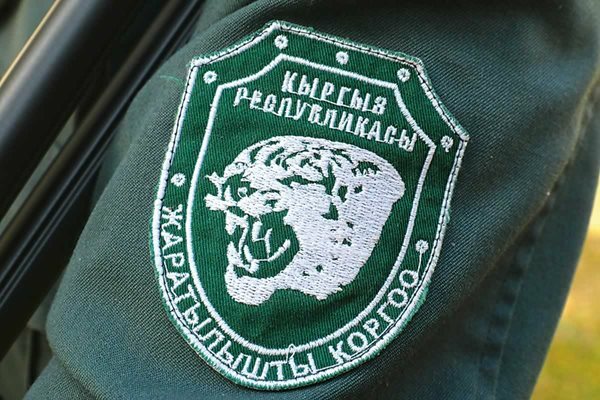 To strengthen incentives for conservation enforcement, for example, Kyrgyzstan raised the salaries of state rangers from around 4,000 som (about us $60) per month to 15,000 som. To discourage poaching, Pakistan, India, Kyrgyzstan and Mongolia have all established dozens of community-based protection programs. National governments have entered into cooperative relations with international organizations including the Snow Leopard Trust, Snow Leopard Conservancy, Wildlife Conservation Society, Panthera, wwf, and nabu. 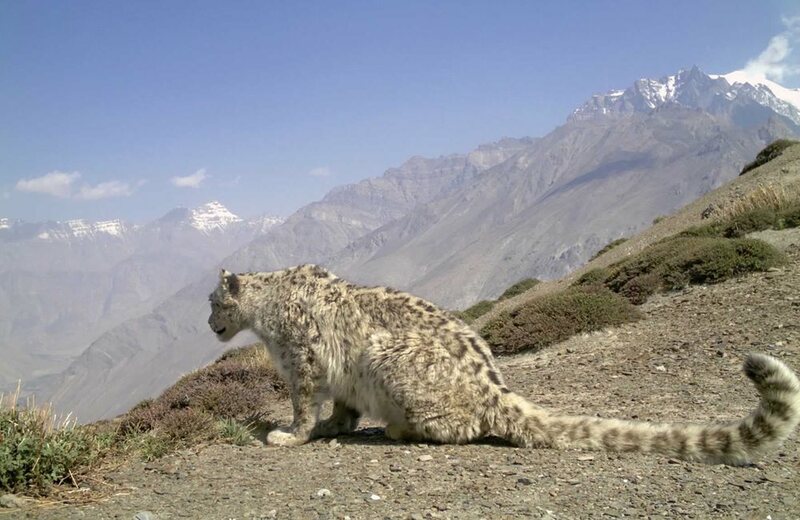 One goal, Sharma adds, already has been exceeded: The range countries have identified not just 20, but 23 snow leopard habitats with potentially healthy populations—depending on the implementation of wildlife-management plans by 2020. 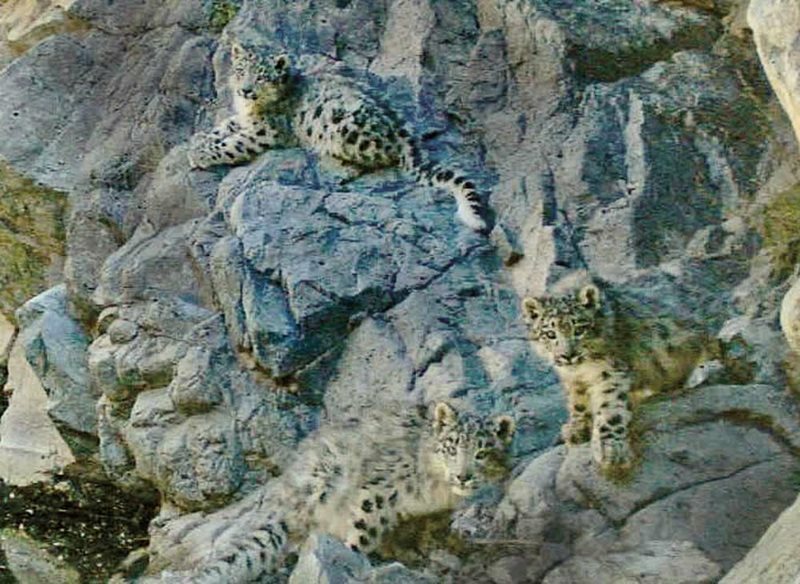 To date, six of the 12 countries—Afghanistan, Pakistan, Kyrgyzstan, Mongolia, Bhutan and Nepal—have completed “blueprints of how snow leopard populations can be secured while at the same time ensuring the development of the local communities,” Sharma explains. One of the most critical challenges is what conservationists call “human-wildlife conflict” and what 38-year-old herdswoman Mahabat Isalieva calls the threat to her family’s livelihood. Isalieva lives with her husband and five children in the Pamir Mountains of Tajikistan, in the Akhtam Valley, where the high plateau reaches as far as the eye can see and income for everyone depends on livestock: sheep, goats and yaks. 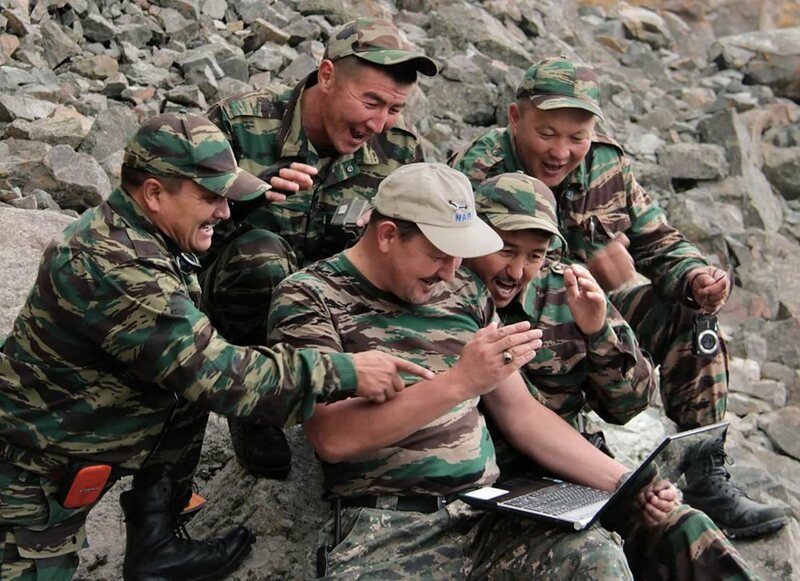 Reacting with delight to camera-trap photographs recovered from the field, a team of conservationists examines digital files on location in Chon-Kemin National Park in Kyrgyzstan. Isalieva takes care of the family’s small farmhouse while her husband spends his days with the herds in the mountain pastures. In the evening, when the sunset illuminates mountains and sky in all shades of red, pink and purple, he returns the livestock to the corrals. There, behind the high clay walls, the animals spend their nights, safe from wolves, jackals and bears—but not from snow leopards, which are strong jumpers. Isalieva points to the scratch marks on one of the top corners of the corral. “Here it got in,” she says, furrowing her brow. Just thinking about it seems to make her angry. Last winter, she says, a snow leopard came almost weekly to raid the corral. One time she saw it, and for Isalieva it is no mystical memory: Altogether her family lost seven sheep and goats worth about a month’s income. The family worried that the snow leopard would return the next winter. “Without the conservation efforts, the only solution for us would be to kill the snow leopard,” says the herdswoman. The family got help when it reported the incident to Burgut (Golden Eagle), a local ngo that helped the family with a simple, effective solution: a wire mesh over the top of the corral. 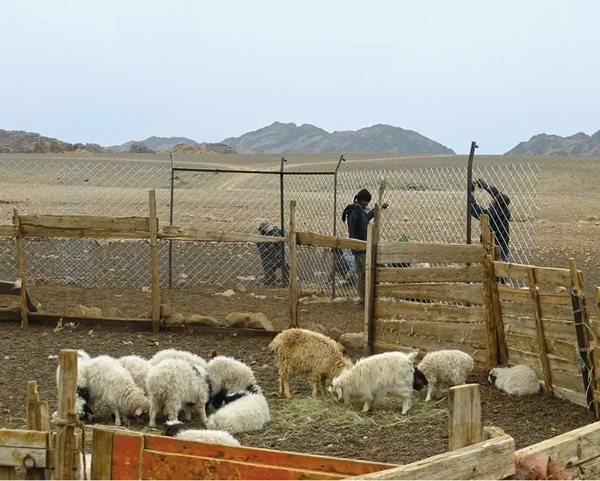 To protect this farm’s herd from snow leopards—and to protect snow leopards from herdsmen protecting their livestock—ranchers in Mongolia install wire fencing. Across all range countries, snow leopards often prey on slow-moving domestic livestock due to both ease and, in some places, a shortage of wild prey. While predator-proofing corrals is one way to address human-wildlife conflicts, another is livestock insurance, through which owners can insure individual animals or proportions of herds. Alternative sources of income are also part of conservation models. These include tourism services such as sustainable hunting, guided hiking and game viewing or wildlife photography expeditions. Burgut, founded in 2013, applies all of these concepts in Tajikistan. Sixteen herders from three villages work not only as rangers to prevent poaching but also as tour and hunting guides. Burgut uses the revenues to pay them for their services and invests the surplus in the communities by buying new books for schools and appliances or medication for hospitals, for example. “Our big dream is it to supply the communities with electricity. We are saving to build a 100-kilometer-long power supply line,” says Makhan Atambaev, the ngo’s chairman and head of the rangers. In the past four years, he says, conservation has become a significant part of local livelihoods, and this is reflected in wildlife numbers. The ancestral power of the snow leopard is taking new form as a flagship species that unites nations and ecosystems. “In 2012 we counted around 300 wild ungulates in the area. Now it’s close to 1,500,” Atambaev reports. This helps snow leopards, he explains, because wild ungulates such as Siberian ibex and Marco Polo sheep are the cat’s most important prey in the region. And indeed, the predator is returning. “A few years ago, there were no snow leopards in our mountains. Now there are at least six,” Atambaev says with visible pride. Another alternative-income model for mountain communities comes from the us-based Snow Leopard Trust (slt), which in 1997 launched Snow Leopard Enterprises. Participating communities agree not to hunt snow leopards or their prey animals, or to support poachers. In return for compliance, slt buys local handicrafts and distributes them globally via its online trade platform and its wholesale partners. Snow Leopard Enterprises currently operates with more than 400 women from 40 communities in Mongolia, Kyrgyzstan, Pakistan and India. 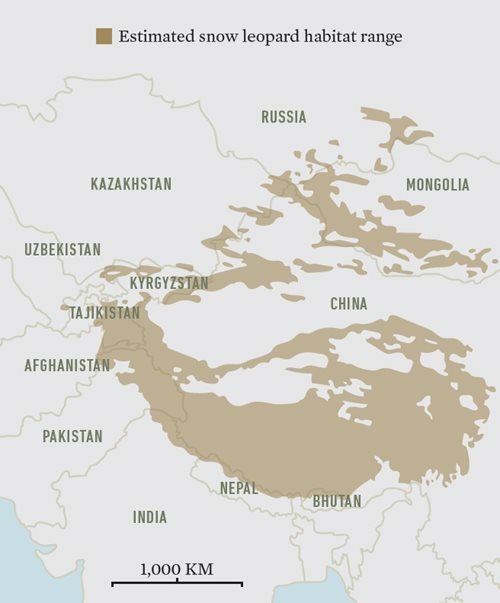 The largest percentage is in Mongolia, where participating communities currently protect about one-fourth of the known snow leopard habitat. 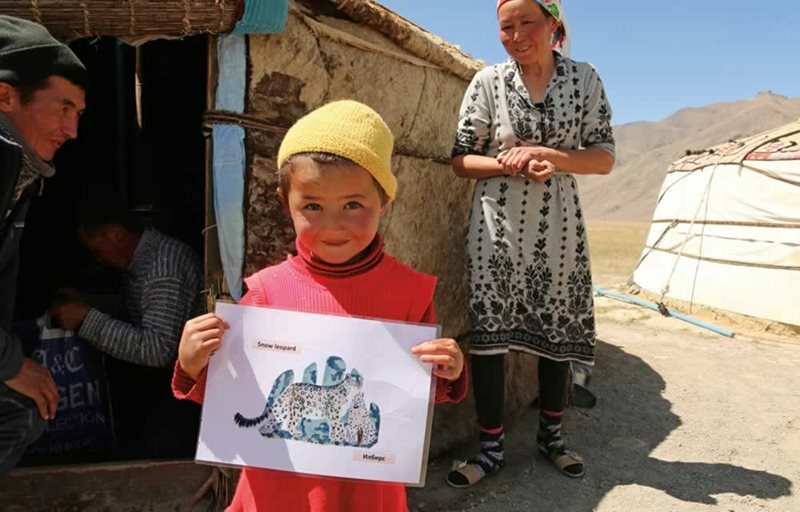 In Tajikistan’s Akhtam Valley, a child holds up an illustration of a snow leopard that was part of an educational effort to assist residents living in shared habitat to protect both the species and their own livelihoods. Although poaching has been the single gravest threat to the snow leopard, the forum countries acknowledge that the 21st century is rapidly becoming an era of more numerous issues connected to global integration and its ever-growing hunger for natural resources and infrastructure development—roads, railroads and pipelines that can block the movements of wildlife. Add to that the degradation and loss of habitats through overgrazing, climate change, environmental pollution and mining, and it easy to see that the challenges will continue. Someone who worried deeply about the relationship of environment and economic development was the award-winning Kyrgyz writer Chingiz Aitmatov, who in the 1950s won international recognition for his novella Jamila. During the following half century, Aitmatov both pursued a career as a diplomat and wrote almost 20 novels and novellas. In his last book, When Mountains Fall, written in 2006, Aitmatov used the snow leopard as a symbol for the natural heritage of his people. One cub’s motion tripped the camera trap to make this image of three young snow leopards near Tost, Mongolia. In 2016 Mongolia’s parliament designated portions of the Tost-Tosunbumba mountain range, in the country’s South Gobi Province, as a protected reserve. Tost-Tosunbumba National Park is currently the site of the world’s most comprehensive long-term snow leopard research study, which is monitoring 20 cats. The message was clear, and although Samantshin dies alongside Dschaa-Bars, Aitmatov did not want to let it end like this. As Samantshin’s body is carried to the village to be buried, the body of the snow leopard mysteriously disappears, implying supernatural power. Aitmatov sends the reader home with the picture of Dschaa-Bars, now a ghost, forever roaming Kyrgyzstan’s mountains—much as the snow leopard does today in the cultural imagination of the region and beyond. The snow leopard has become a representative of Central Asia’s ecosystems, a global keystone species, a banner under which nations can gather not only for its conservation, but also for the conservation of dozens of other animal and plant species together with human economies and lifeways. And while in the yurt-shaped conference hall in Bishkek adults agree on new protected areas and strategies to fight wildlife crime, in the beach-side classroom in Tamchy, kids do some brainstorming of their own. “Let’s think about what we can do to protect the snow leopard!” Iskakova says, and together they build a “life raft” of ideas. The children write their thoughts on pieces of paper, and those who cannot yet write have the grown-ups help them. Seven-year-old Adelya Saparbekova, with long dark hair and lively brown eyes, tells how proud she is to share her home country with such a great animal. She rhapsodizes: “The snow leopard has a beautiful skin. It shines in the sunlight.” So far, she has seen snow leopards only on television and in pictures. She hopes that soon there will be more of them. Perhaps then she, too, will be able to see one. Adriane Lochner is a biologist by training. As a freelance journalist, photographer and travel writer covering cultural and environmental topics worldwide, Lochner spent a year in Kyrgyzstan learning about its culture, environment, people and the snow leopard. Currently, she is based in Germany.